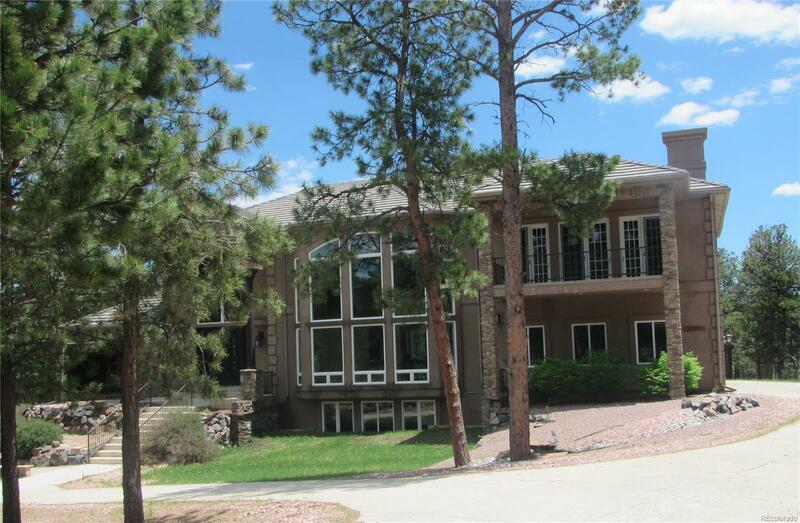 eautiful, rare 2-story home in the Black Forest Reserve Community in Colorado Springs. This picturesque home sits on 2.6 wooded acres of gorgeous pine trees of the Black Forest and backs Open Space. Finished walkout basement. Former model home for 2007 Parade of Homes with numerous upgrades. Gourmet kitchen has top-of-the-line appliances. Upstairs the master bedroom has vaulted ceilings, sitting area large walk-in closet. Master bathroom feature a fireplace, jetted tub. Walk-out to your covered balcony. Two additional upstairs bedrooms have their own ensuite bathrooms. Finished walk-out basement has theater room, game room and wet bar. Four fireplaces. 2 covered Patios allow private enjoyment and relaxation. Large outdoor space with fireplace. Oversized 3 car attached garage and plenty of extra parking. Very private, large wooded lot in the desirable gated community of Black Forest Reserve. This property is now under auction terms. Property being offered at www.Auction.com. Association Name Primary: Black Forest Reserve Comm. Assoc.